We ship throughout Europe to countries listed below. 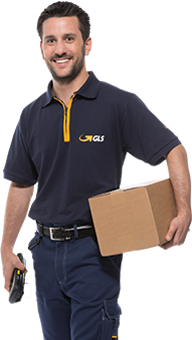 All your online orders will be shipped by GLS Parcel Service. Single items over 30 kgs or over 2 m. length will be shipped by FedEx or freight forwarder on request. The total costs of shipping for these boxes depend on destination, number of boxes, weight and dimensions. Delivery to P.O. Box is not possible! Shipping costs: 0-1,99 kg = Euro 22,00 per box; 2-30 kg = Euro 42,00 per box. Important remark: Shipping costs are only valid for Italy "mainland". For islands a surcharge will be added depending on parcel size. Please contact us in advance! Important remark re. PlastiDip: Due to hazardous goods and airfreight, we are not allowed to ship PlastiDip items to Greece!